Easy as 1-2-3, this creamy, sweet and cool snack or dessert proves that added sugar and oil are not always necessary to satisfy your cravings. Keep some peeled bananas in your freezer so they'll be ready when you are. In a high speed blender or a good food processor. In the high speed blender I like to add a bit of almond milk (or a tbsp or 2 of raw almond butter and 1/4 cup of water) and then you blend until smooth. n a food processor you can eliminate the almond milk and just use frozen bananas. It will go through a couple of stages: crumbly, what resembles hard packed ice cream and then soft serve. You could put this into the freezer for 30 minutes and then scoop it out like you would ice cream. 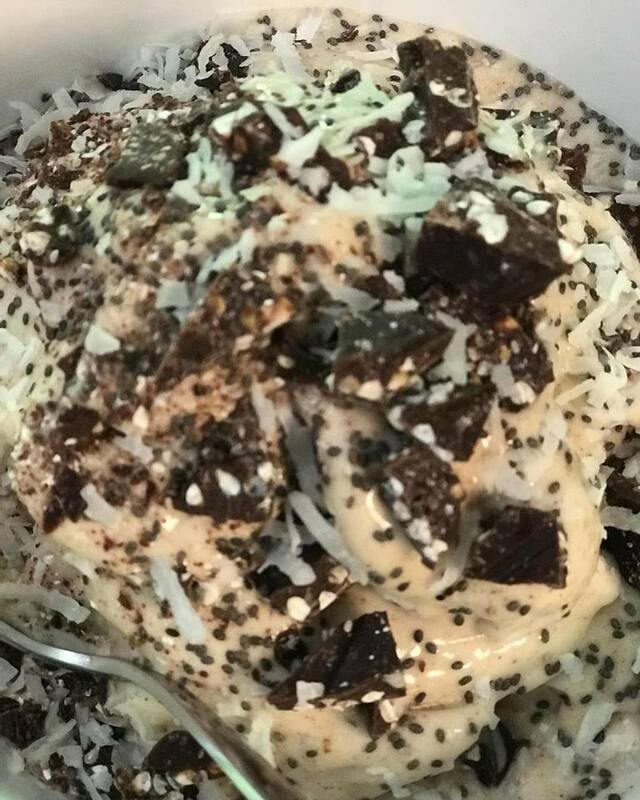 To your banana nice cream you could add toppings like: chia seeds, unsweetened coconut shreds, hemp hearts, fresh berries, or chopped up raw vegan chocolate. You could also drizzle with raw almond butter thinned down with a bit of maple syrup. You could also make your own berry sauce by just blending down some berries. It really is so simple to make this amazing dessert. In less than 5 minutes I can whip up a huge bowl of ice cream that satisfies all of my cravings and is so delicious. Blend until smooth and top with the toppings of your choice. This serves one or 2 if you wish to share.